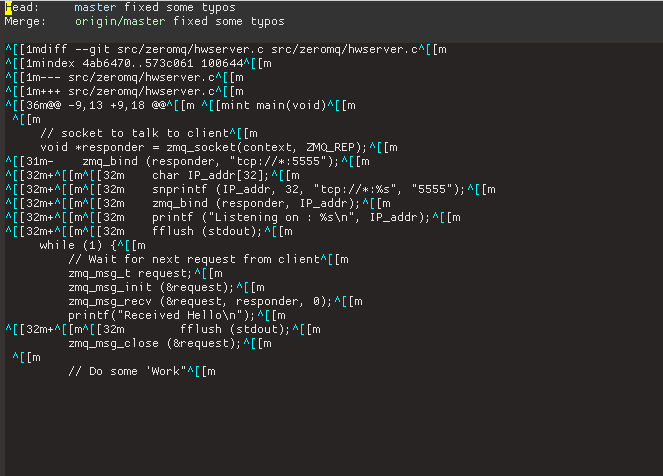 The same Emacs setting works on Mac without any issue, haven't checked with a different Linux box yet. Has anyone encountered the same problem before? in my ~/.gitconfig. That's cause for all these control characters to show up. Removing it fixed it. The two different machines had different ~/.gitconfig files, in particular one had an option selecting color always rather than when the output was going to the terminal. The ^[[32m and similar are ansi terminal color selecting sequences.